Jones with her dog, Lunas. Jones, on the way out for another trip. Jones, planning her next trip. 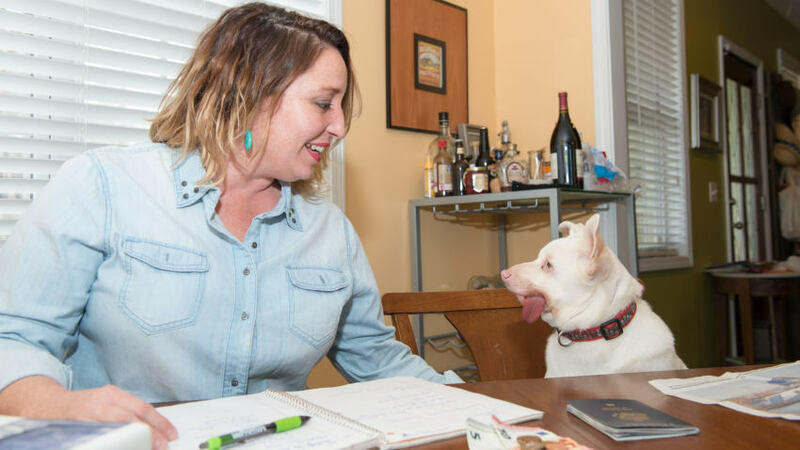 “Don’t mind Lunas, he just had a bath,” says Jane Halbert Jones, as the dog happily rolls around on the living room carpet of her Fondren home. Settling in on the back deck on an unseasonably warm January day, Jones talks excitedly about recently receiving some additional credentials as a travel agent – but don’t call her that. “I hate ‘travel agent,’ because it’s an old term. I prefer ‘travel counselor,’” she says. 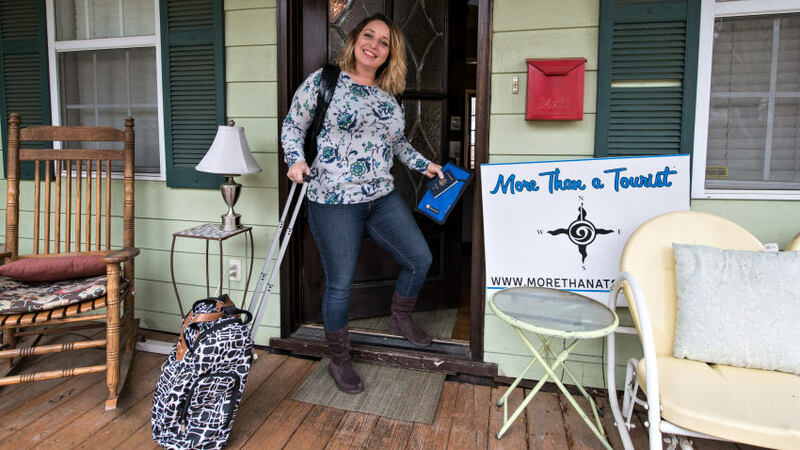 Jones is owner and operator of More Than a Tourist, LLC, which provides “travel counseling” on various levels. This includes organized group trips to Paris and the French Riviera each year, individualized trips, showing tourists from other states and countries what Mississippi has to offer, or, even guiding a group of homegrown Mississippians through a progressive dinner in their own neighborhood. Born and raised in Mississippi, Jones was interested in the world and travel from a young age. She took French in high school to be “different” from her friends, who mostly took Spanish, and continued to study French through college. After spending a few semesters abroad and completing a graduate program in Paris, Jones found herself at a crossroads of sorts. “I was back in Mississippi, working a desk job, but I wasn’t happy, so I came up with the idea to take groups of people over to Paris. In that office I came up with the name. I thought to myself, ‘I want people to feel comfortable when they travel… I want them to be more than a tourist! In 2011, I got an LLC and planned my first group trip to Paris. I had three people on that trip,” she recalls. 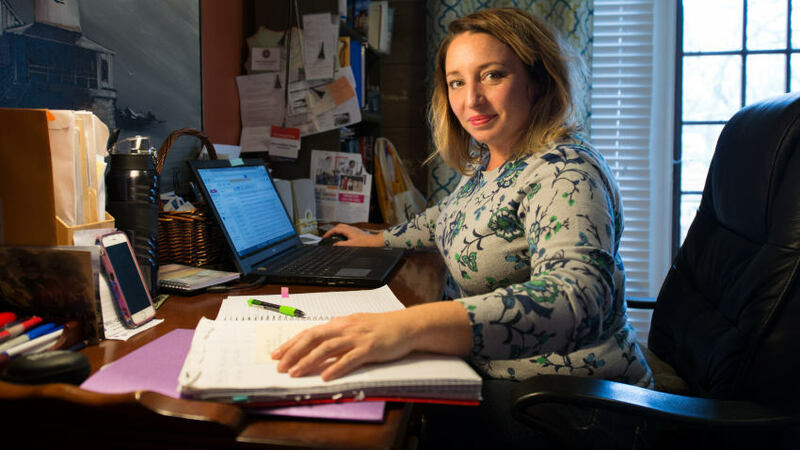 More Than a Tourist started with the group tours to France, but as word got out, Jones found that people would seek her advice on their own trips to France or other countries. “I’ve been doing that ever since,” she says. Jones offers something she calls “Travel 101” – advice or guidance on how to make the most of the traveler’s time and budget, how to pack, what to take, what not to take and more. After a couple of years and successful trips to France, Jones began leading and advising tour groups visiting Mississippi. “I want to be known as your one-stop concierge service in Mississippi – if you’re wanting to do a civil rights tour, a civil war tour, or you’re wanting to see the blues… you contact me and let me help you with all the details and logistics,” she says.